Hello readers, earlier this year we at T.I.N Magazine published a ranking of the richest actors in Nigeria as of year 2016, well, after several evaluations we’ve come up with a list of the richest actresses in Nigeria. Our ranking is based on media reports of these actresses, e.g; endorsements,charges per movie, successful productions, personal projects and more. Unlike all other false rankings you see online with net worth attached to them we’ve come to share facts and facts only as far as we know so there is no net worth on this list. 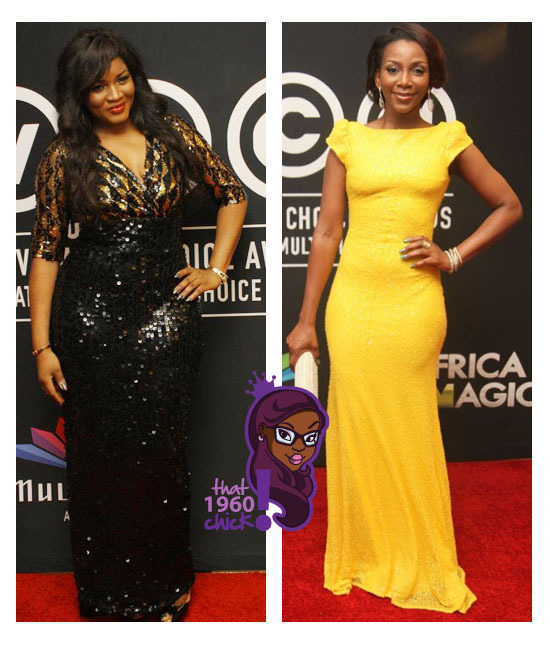 So sit back and gently checkout the richest actresses in Nollywood. Veteran actress. She’s been in the movie industry for decades now, the popular actress is well respected and admired by many in the entertainment industry. Patience charges quite high to feature in movies. She has endorsement deals with several brands in Nigeria most especially in the eastern Nigeria. According to our estimates, Patience is ranked 10th on the list of richest actresses in Nigeria 2016. Also a model and endorser, she had a sponsorship deal with telecom company Glo. At the moment she’s definitely among the biggest acts in Nollywood. Well, producing quite some hit movies has helped her career financially. The producer and actress has been in the movie industry for quite a long time. She earns pretty much high whenever she features in movies. She owns properties in Rivers State and Lagos not to mention she’s an entrepreneur and also earns quite huge from brand endorsements, most especially in the cosmetics segment, she also has an endorsement deal with Glo Ng. She is no. 8 on this list. Popular Nollywood actress, she has been in the industry for quite sometimes now. She is a producer and director with a couple popular movies to her credit. With almost 200 movies, Ini Edo is arguably one of the most resilient and tactful actresses in Nollywood., and speaking of other businesses she’s got quite a few. She also owns over six buildings within the country. With quite a lot of mouth-watering endorsements with big brands like Glo Nigeria. She is United Nations Habitat Youth Envoy, thanks to her philanthropic nature. She’s been ranked to be 7th on this list according to our estimates. Rita Dominic counts Nokia and Glo to her endorsement deals. The Imo State actress and model is also a businesswoman. She reportedly owns fixed assets worth over N40 million ($240,000) – which include landed properties and two homes. According to our estimates, Rita is 6th on the list of richest actresses in Nigeria 2016. Africa Movie Academy Awards winner, Kate Henshaw-Nuttall topped the list thanks to her movies earnings and endorsement deal. With over 40 Nollywood movies to her name, Kate Henshaw has endorsed companies like Glo, and The Face of Onga. She is obviously one of the richest personalities in Nollywood her income is diversified. According to our estimates, Kate is 5th on the list of richest actresses in Nigeria 2016. Lagos-born actress Mercy Johnson made her acting debut in the 2014 movie “The Maid,” she has since appeared in over 100 movies. As of 2016 she was reported to be charging as much as 3million Naira per movie. She is not just a very successful actress but a successful producer, too she has also invested in properties and reportedly owns several landed properties in Lagos. Mercy as of the moment is a really big brand in Nollywood. In a 2016 ranking according to T.I.N Magazine she is the most famous actor in Nigeria. According to our estimates, Mercy is 4th on the list of richest actresses in Nigeria 2016. One of the biggest Nollywood’s stars and the first African celebrity to have reached more than 1 million Facebook fans. Omotola earned over N9 million in 2007. A car enthusiast, she is known to have some of the most expensive cars among other Nigerian actresses. Her car collection is estimated at N20 million. According to our estimates, Omotola is 3rd on the list of richest actresses in Nigeria 2016. Jenifer as fondly called is one of the most famous actors in Nigeria. She is an actress to reckon with in the movie industry in Nigeria and also one of the highest paid. A very interesting person to be with. Funke is at the moment more than an actress but an all round entertainer she is a huge brand in the entertainment industry, it was reported she charges up to 2million naira per movie. Funke Akindele currently has a TvSeries she is currently running all by herself the “Jenifa’s Diary” a show that is now a nationwide hit. And finally you will be surprised the star actress is the only actor with highest number of brand endorsement deals in the country and the second celebrity with the highest number of endorsements after Tiwa Savage. A couple brands she has represented and representing includes; Vita Foam, Globacom Ng, Qlichy.com, Jobberman.com, Klin detergent, OMO, Maggi, 1960bet. According to our estimates, Funke is the second richest actress in Nigeria 2016. The Queen of Nollywood, Genevieve Nnaji is the most successful Nollywood actress internationally, and best paid in Nigeria. She earned a reported $25,000 in the transnational film “Ijé” produced by Paula Moreno and Chineze Anyaene. The Imo State-born actress, singer, fashion designer and businessman has appeared in over 80 Nollywood movies. In 2005, she won the Africa Movie Academy Award for Best Actress in a Leading Role. Some of her most lucra­tive endorsement deals include Pronto Beverage, Omo Detergent, Range Rover Evogue and MUD Nigeria. The business savvy actress launched her line of fashion “St. Genevieve” in 2008; reportedly worth N20 million. The diva has represented several brands over the years including Lux, Cintrion Energy drink, Range Rover Evogue, Etisalat, Polo, MUD cosmetics and Amstel Malta. The most recent, Etisalat, even gifted her a customized Apple laptop on her last birthday. According to our estimates, Genevieve is the richest actress in Nigeria 2016.